Clare Boylan never saw herself as purely an â€œIrishâ€? writer, although she set several of her books in Dublin past and present. A sense of place is powerfully conveyed in all of them. In one, Home Rule (1992), she convincingly portrayed the city in the turmoil of the 1890s and beyond as it came to grips with historic national and political issues. 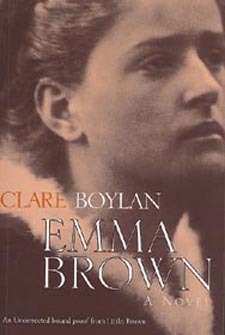 But her last novel, Emma Brown, published in 2003, was set mainly in London, and was Boylanâ€™s interpretation and completion of a two-chapter fragment left behind by Charlotte BrontÃ«. This was perhaps her best book, as well as her most successful. It involved a huge amount of research, which included walking around the streets of London with a guide, until her feet blistered and bled. She was no stranger to this kind of painstaking research: it was the backbone of her award-winning journalism. 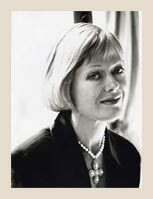 She had won the 1974 Journalist of the Year title in Dublin as a young feature writer on the Evening Press. Her memorable series on homeless women involved spending many nights on the streets with them. Boylan was always going to be a writer. In her contribution to A Portrait of the Artist as a Young Girl, a collection of childhood memories by nine Irish women writers, she recalled how her mother wrote childrenâ€™s stories for herself and her two sisters, Ann and Patricia, as well as essays and short stories. It was the job of the seven-year-old Boylan to type out the articles with two fingers, as a reward for which she was taken to the cinema.Three decades later, a short film, Making Waves, based on her short story Some Ladies on a Tour, was nominated for an Oscar in 1988. Boylan wrote seven novels: Holy Pictures (1983); Last Resorts (1984); Black Baby (1988); Home Rule (1992); Room for a Single Lady (1997), which won the Spirit of Life award; Beloved Stranger (1999) and Emma Brown (2003). There were also three collections of short stories and two anthologies, The Agony and The Ego, The Art and Strategy of Fiction Writing Explained (1993) and The Literary Companion to Cats (1994). She also wrote a great deal of literary criticism and a radio dramatisation of Molly Keaneâ€™s novel, Good Behaviour (2004). Boylan was an able hostess. She never lost her interest in good food, and one of the joys of her later years was the house she kept in Brittany where the daily ritual of buying and cooking was taken as seriously by the locals as by Boylan. One of her favourite cities was Venice, which she visited many times, often out of season, glorying in the winter light and the emptiness of St Markâ€™s Square in January. Boylan was a member of AosdÃ¡na, the affiliation of artists established by the Arts Council of Ireland to honour those who had made an outstanding contribution to the arts. She was a compassionate, but not an overly sentimental, animal lover, with an interest in promoting more humane farming and husbandry techniques. Students on her creative writing course thought her a brilliant and generous teacher. As a writer she was never content to stand still or produce work that was as only as good as her previous output. Culminating in the extraordinary Emma Brown, each of her books was arguably better than the one before it, as well as significantly different. Boylan had battled cancer for some time. One friend, upon learning of her final illness, said: â€œPart of the tragedy is that there will be no more wonderful books.â€? Clare Boylan is survived by her husband, Alan Wilkes. Clare Boylan, author, was born on April 21, 1948. She died on May 16, 2006, aged 58.